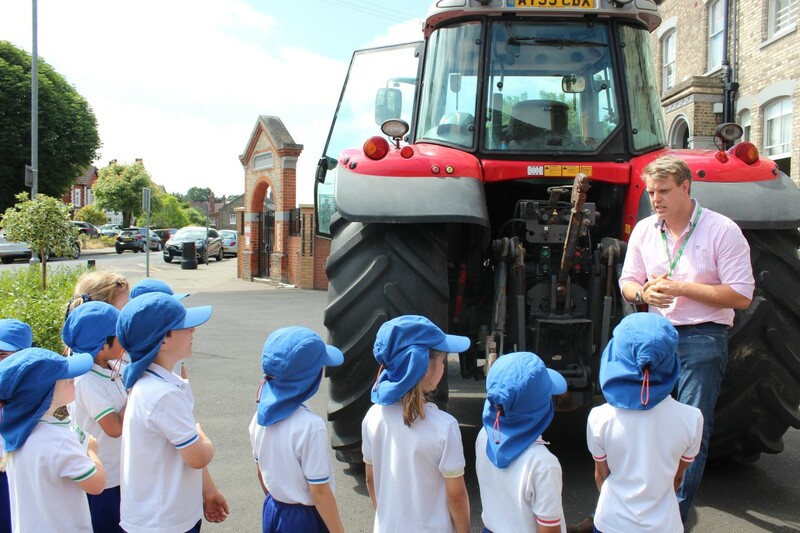 Our Nursery and Prep children thoroughly enjoyed their visit by Farmer Alex Cullen and his big red tractor this week. The visit was organized to bring to life the topic “Farming is Magic” that they are studying as inspiration for the work they are preparing to exhibit at The Tendring Show. The children got a close look at the tractor and learnt about how they operate and also learnt what it takes to grow the crops that go into our bread, breakfast cereal and even make up! Thank you to Cullen Family Farming for such a wonderful morning.